The people handing out mammogram and radiation prescriptions to ‘cure’ breast cancer probably don’t want you to know this about breast cancer: in numerous cases, it goes away all by itself. Radiation, the primary means, if not invasive surgery, to eradicate breast cancer works by killing off cells by exposing the DNA to ionizing radioactive waves. The problem is that this treatment also kills off healthy cells, and has even been shown to cause breast cancer. In a study published at Dartmouth Medical School Magazine, the ‘taboo’ subject of spontaneous remission is openly discussed. One of the doctors who helped write up the findings, H. Gilbert Welch, M.D., M.P.H, made sure they were published in Archives of Internal Medicine. The study compared 100,000 Norwegian women ages 50 through 64 who were divided into two groups, with women in both groups having invasive cancers. Women in the first group were followed from 1992 to 1997, while women in the second group were followed from 1996 to 2001. The women in the first group had only one screening, and the women in the second group had one every two years. 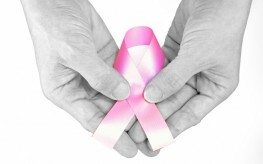 Women in group 2 were exposed to an average of six more breast screenings via mammography. Interestingly, the incidence of invasive breast cancer was 22% higher for women in the second group (the ones more often screened with mammograms)! What this means is that when we just let the body heal itself without radiation-causing screenings, often, the cancer goes into remission all on its own. Not surprisingly, the study has been criticized by the American Cancer Society: “Their simplification of a complicated issue is both overreaching and alarming.” Unfortunately, the words from the American Cancer Society can’t be trusted, as the organization is in bed with major cancer-drug making companies. For example, Big Pharma giant AstraZeneca has made multimillion dollar contributions to ACS, influencing just about everything that the ACS does. The ‘awareness’ raised focuses almost exclusively on mammography and doesn’t mention a word about carcinogenic foods, aluminum in deodorants, etc. There is no spoken word of breast cancer prevention via natural, inexpensive means, while touting the ‘cure’ of mammography and cancer drugs. Simply allowing cancer to go into remission can be risky and definitely scary, though mainstream solutions may not be the answer. If you don’t want to expose yourself to radiation or invasive surgeries, take some time to look into natural alternatives. Just as individuals have reversed prostate cancer with something as simple as baking soda, reversing and preventing breast cancer could be as easy as turmeric supplementation or flax seed consumption.